For over 30 years, we have provided our customers with the highest valued service. We offer a fabulous selection of fine jewelry and watches. Our "on the spot" experts can help with everything from special orders, custom designs, "while you wait" jewelry and watch repairs, watch batteries and even diamond settings. 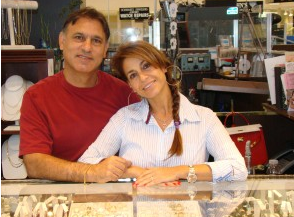 Not only do we sell the finest products, we will also buy your jewelry and diamonds as well.